Australia Fair is a useful regional shopping centre for those staying in Southport and Labrador. 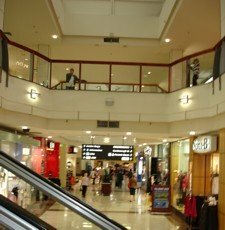 Very much a locals haunt, I found it useful for shopping when staying in Surfers Paradise and better prices too! Shopping is mostly on two levels at Australia Fair. Mall is modern even though it was built in 1983. * Trading hours can change. Specialty store hours vary from shopping centre hours in this complex. Some of the major stores trade outside these hours. Please check with the centre directly particularly on public holidays. Australia Fair was first opened in 1983, and although it is modern and fresh inside, it is definitely needing a major update. It is however, extremely functional and a useful shopping centre for visitors. It is easy to nip into either Coles or Woolies to pick up your holiday groceries. Parking is free if you stay less than 4 hours during the week and free on weekends and public holidays. There are over 230 shops and businesses and a the 10 screen cinemas. Australia Fair Medical Centre is a large practice located in the basement of the shopping centre which is useful if you need medical services whilst on holiday. All the parking is undercover. Australia Fair is also a major hub for buses, there are no trains nearby. 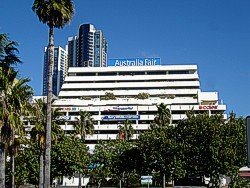 It was my shopping centre of choice whenever we stayed in Surfers Paradise or Labrador as you would often drive right past it when going to one of the Gold Coast's many attractions and theme parks. The shops are generally open from 9am to 5.30pm Monday to Saturday, with late night shopping Thursday till 9pm. Sunday trading hours are 10.30am to 4pm. Birch Caroll and Coyle cinemas at Australia Fair have 10 screens so lots of choice for all the family!. Some of the specialty retail stores have different trading hours especially on public holidays. Coles and Woolies have longer trading hours on some nights. Beware though as Saturdays and Sundays they shut with the centre. 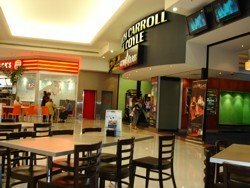 The complex also has a Birch Carroll and Coyle Cinemas with 10 screens including Gold Class. It is quite a central cinema complex on the Gold Coast. There is a small childrens playground and two food courts. One food court is open air and close to the Coles whilst the other is totally indoors and spans the front of the shopping centre that overlooks the Broadwater.